This is a neat, yet low-flow, free-fall off a blocky cliff with a small cave behind it. The water splits into multiple streams and dripping portions on its way down. 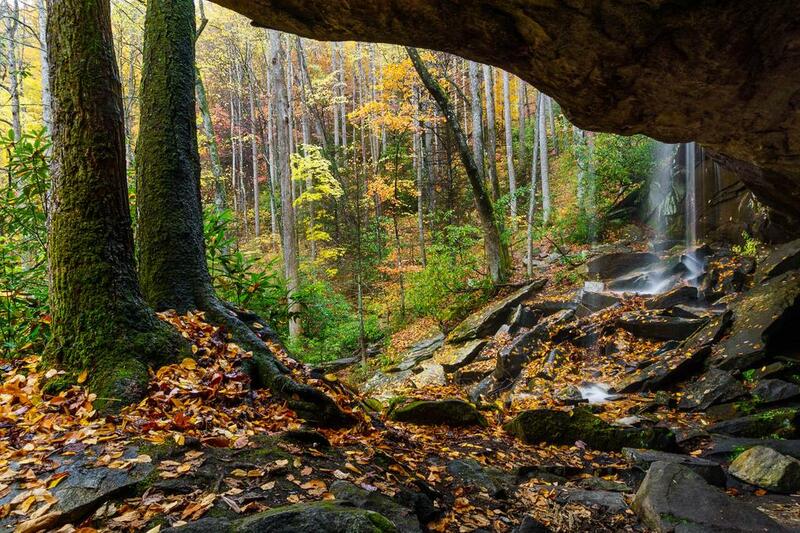 Slick Rock Falls from the cave in fall color. 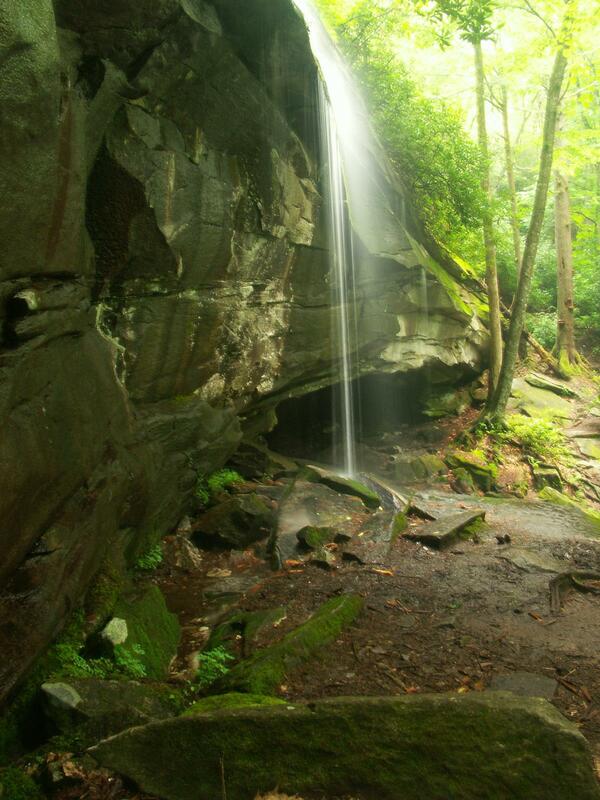 The falls are aptly named and many animal carcasses found the base are said to have contributed to the moniker. From the intersection of US 64, US 276, and NC 280 in Brevard, follow US 276 West for 5.2 miles and turn left on FR 475 towards the Pisgah Center for Wildlife Education and Fish Hatchery. 0.1 miles past the Fish Hatchery, bear right on FS 475B. It is just over 1 mile to a pulloff on the right with a sign board. Park here. The short trail starts up the steps next to the sign board; you will be able to hear the falls from the road. It climbs a short distance and then levels out; bear right to reach the falls. (The left fork goes up to the base of Looking Glass Rock). The last few steps as the side trail approaches the falls are over some slick rocks, so use caution. With some care you can get into the small cave behind the falls for a different view.